So last night I was curious how much money I spent on groceries last month. I realized there wasn’t a report yet to give me this information. So I added this view today that shows a summary of the transactions in a given envelope or category. A new feature has been added to undo transaction assignments. 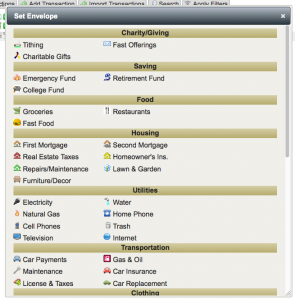 Once a transaction has been assigned to an envelope it cannot be edited or deleted. In can however be "undone". If you undo an "Income Allocation" transaction it will simply move the amount back to the unallocated income box. If you undo a transaction, it will move back to the unassigned transactions view. From there you can edit or delete the transaction if that is what you wish to do. Yet another feature update for today. 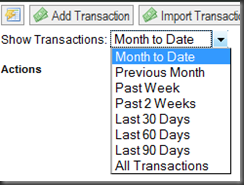 I’ve added the ability to filter transactions on dates when you are viewing transactions assigned to envelopes. 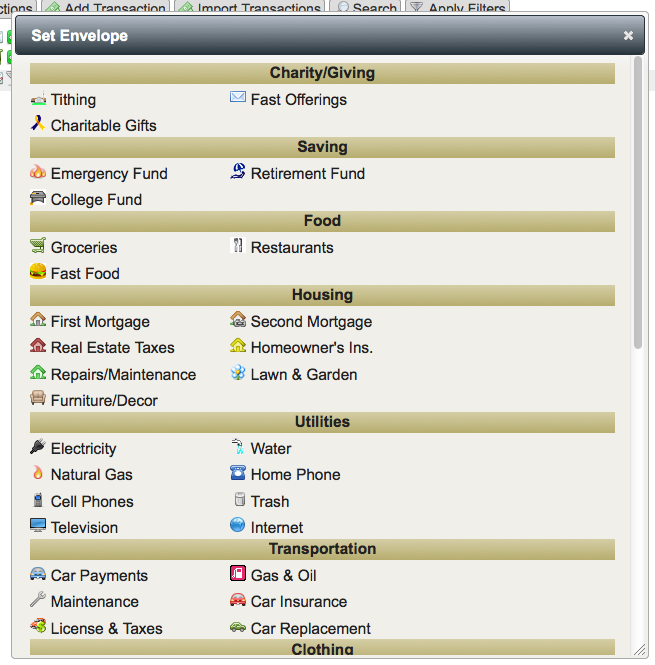 Once you select an envelope or category, there will be a filter to limit the transactions shown. 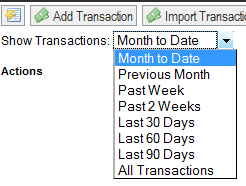 It will default to show only transactions for the current month. Also, there was a minor bug when deleting transactions that has been fixed. I found the natural urge to click on a transaction memo or payee to edit it directly in the table, so that feature has been added this morning. Note that it only edits the payee and memo, to edit other aspects of the transactions such as the date and amount you will still need to click the edit icon. Also transactions from an American Express card I have were not being downloaded automatically. That has been fixed.